Sometimes with the excitement of a new launch, the prettiness of its packaging, or the hype around its blendability, we forget all about the most necessary feature of an eyeshadow palette: to enhance your eyes. Taking it back to colour theory, we discover the most flattering shades for all types of brown eyes – from tan to deep mahogany – and the best palettes for the job. 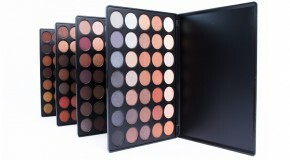 For hazel eyes, the makeup world is your oyster; any colour on the neutral brown spectrum complements your eye colour. However, true golds can bring out the amber/yellow tones in light brown eyes, and if you don’t like the sound of that, you should steer clear. 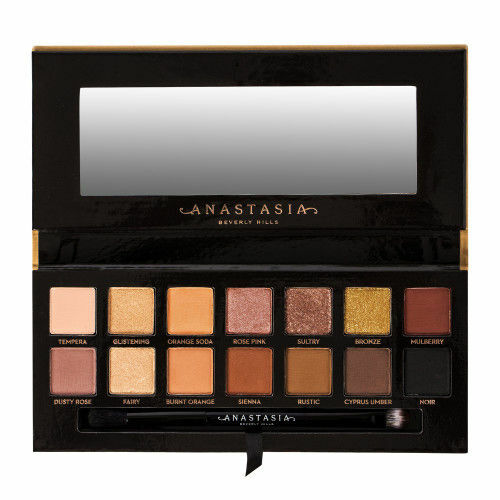 Instead, opt for softer rose golds and copper shimmers to work with a neutral matte base – the Anastasia Beverly Hills Soft Glam palette is the perfect day-to-night palette, housing everything you’d need for a soft daytime look or a full glam session, depending on your mood. 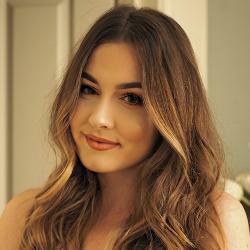 If you have deep brown eyes, warm toned shadows – such as deep reds and oranges – can bring out the ‘tortoise-shell’ like effect in them, adding dimension to dark eyes. The highly coveted Jeffree Star Blood Sugar palette has a stunning mix of warm tones, from post-box reds to hot pinks and creamy coppers. If you’re after a neutral palette with a kick, look no further. For mid-brown eyes, a navy or cobalt accent will really help to deepen your eye look, and accent the light brown flecks around your pupils. 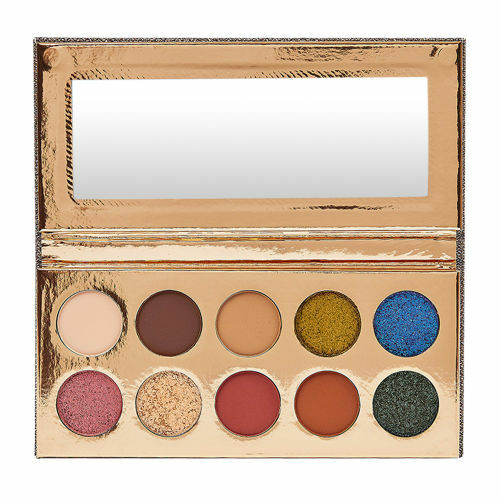 The Dose of Colours Desi & Katy Friendcation palette not only offers up some extremely wearable neutral base colours, it also contains a gorgeous shimmery blue that’s perfect for layering on the lid for a statement eye. If that seems too far out of your comfort zone, you can also wet your brush and use the blue as a glitter liner, or subtley sub it in for your everyday black waterline colour. While purple shadow is universally flattering, it’s actually brown’s complementary colour on the colour wheel, meaning the contrast really packs a punch on darker, chocolate eyes. 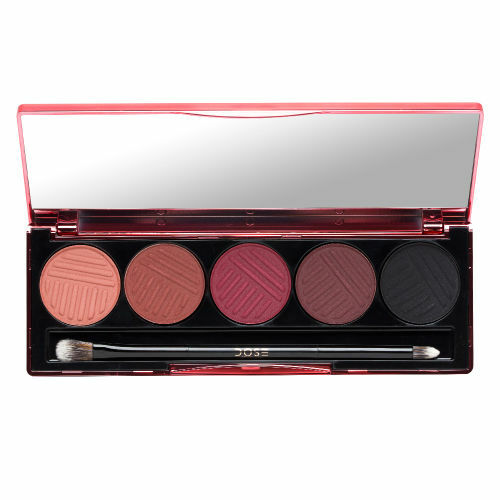 No longer does the classic smokey eye need to be reserved for night times with the Dose of Colours Blushing Berries palette, which offers five creamy, uber pigmented plum toned matte shades, to make blending easier than ever. For warm toned eyeshadow look lovers (which, honestly, should be anyone with chestnut-brown eyes), the BEAUTY BAY Colour Theory Origin 42 colour palette has everything you might need – and then some. Offering a mix of 42 creamy matte, shimmer and metallic shades in everything from pale peach to deep amber, every colour compliments each other, and blends together like a dream. It’s the perfect ‘day-to-night’ palette, and with such a huge choice (including stunning colour changing duochrome finishes), you’ll never have to create the same look twice. Go bold or go home; rich metallics that catch the light just right are the perfect way to amp up your night-out look. 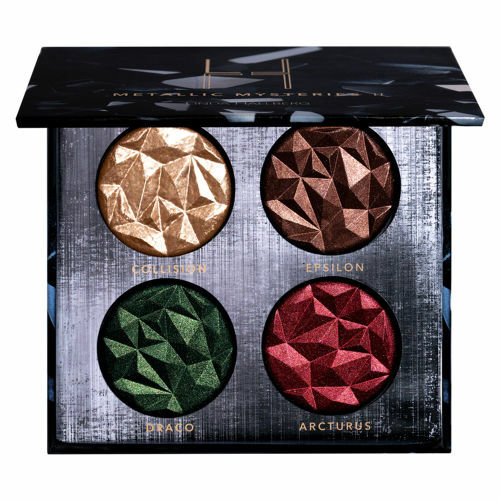 The Linda Hallberg Metallic Mysteries II palette houses the most perfect eyeshadows for brown eyes to supplement your everyday palettes. With two exotic bronze shades, a deep emerald green and a unique ruby red, it’ll take your smokey eye from ‘basic’ to ‘luxurious’ in one swipe. Pro tip: for a more wearable, daily look, wet a liner brush and use the green as a interesting alternative to your classic black cat eye.